During the 1920s, Florida experienced a real estate bubble that had rippling effects felt until the mid 1940s. Miami had everything one could ask for: beaches, sun and all the comforts of modern living. It naturally attracted quite a bit of outside investment money. Speculators bought land hoping for a better valuation on sale, others decided to settle and develop businesses and communities there. Much of this activity was driven by a single man. His name was Carl G. Fisher, and he started a fervor for Miami property after purchasing a billboard in Times Square. 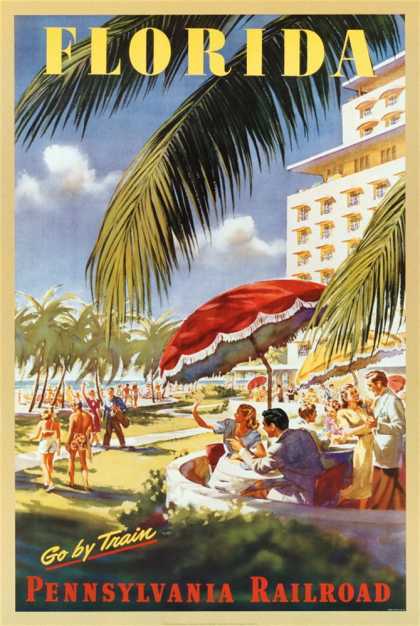 As citizens strolled through the street, bundled up in their coats, the words “It’s June in Miami” superimposed over a bright beach lit a fire under people. Property values soared. Except there was a problem with the increase. It’s true that some development was happening, but the billboard caused an influx of people looking to buy property to sell. Entire sections of Miami-Dade County went vacant. Those speculators also began losing money, after their flip deals didn’t work out. Shortly after, a railroad embargo from the three biggest companies within the state of Florida severely reduced the amount of comfort goods that could be transported through the area. As relief seemed on the horizon, the Prinz-Valdemar sank in the Miami harbor. The schooner was to be a floating hotel, part of a cultural revival. By 1926 the embargo had lifted, but the Great Depression was right around the corner. The economy did recover, but not until World War II.